Please contact one of our hydraulic specialists for more information on specific design or construction. 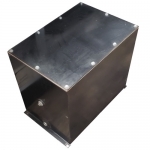 Standard reservoir sizes range from 1 to 100 gallon capacities and are constructed using polyethelene, aluminum, and steel. Parts and accessories for these reservoirs are also available. 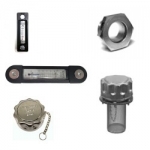 We have sight gauges, fill assemblies, suction strainers, and steel or aluminum weld flanges in stock and ready to ship. 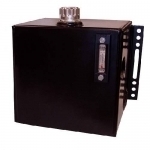 Our hydraulic tanks will ship via UPS or truck freight depending on the size and quantity ordered.